I won’t lie to you – I’m pretty drained emotionally, and I haven’t even written this post yet. Mondays were amazing this season, and I’ve had to summarize my farewells to four really excellent and totally different series in the past 24 hours. 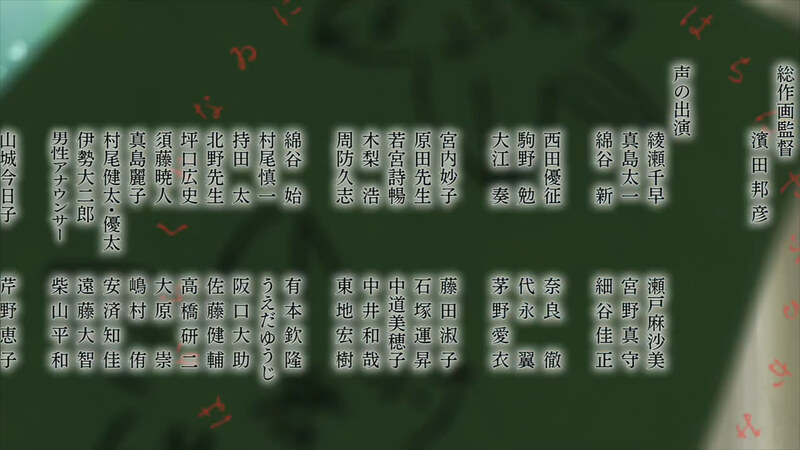 Natsume Yuujinchou Shi delivered the strongest emotional hit with its superb finale, but there’s the likelihood that there will be another season at least. 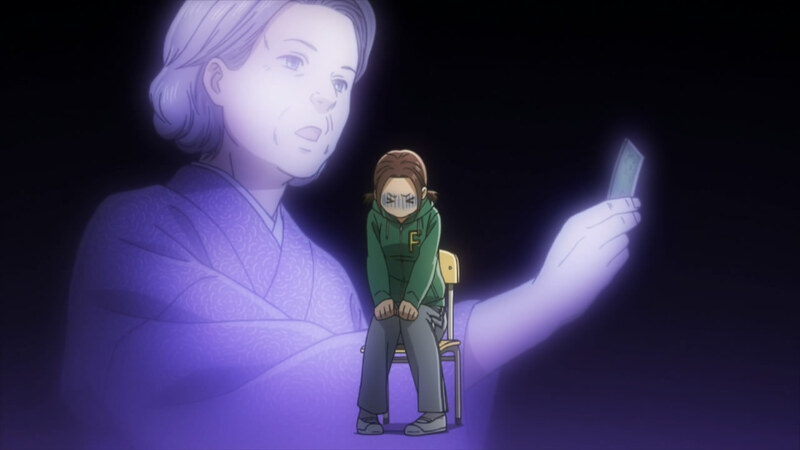 Chihayafuru was always going to be the hardest ending for me – and it was. I actually delayed watching the finale for a few hours, just because I didn’t want to face the prospect of it ending. So as it stands, the dominant emotion for me is this: I simply don’t want it to be over. These are my friends – it’s rare that an anime can make you feel that way, but this one did. These are wonderful characters and I’m going to miss them terribly. Even though there were no overtly emotional crescendos in this episode, I was on the edge of tears for the entire second half – every gesture, every smile, every group shot was a lump in the throat. To be honest the last anime I felt that way in watching the finale was Cross Game, and in that case I knew, at least, we’d be getting an ending. Not so here – but as it turns out, the episode was very satisfying without needing to manufacture one. I really wasn’t sure what Asaka-sensei and Madhouse were going to try and do here. I know where things stand in the manga, and while I won’t go into details it’s 90 chapters in and not close to concluding – so any true “end” would have to be original. That never really felt right and I didn’t truly think Madhouse would go that route, and I’m glad they didn’t. But even so, there was no obvious stopping point, and the risk of an emotional letdown based on the relatively flat penultimate ep, with the focus on the comparatively detached Master/Queen matches. Well, they got those out of the way pretty quickly, with the main point this week to show us the true power of the Master, Hisashi Suo – and the impact he has on the main cast. He seems cold and cruel, and to delight in toying with his opponents like a cat with its prey. But there’s another side to Suo, a face he doesn’t show – a deep love for the Japanese language that seems to drive his ability to link his soul to that of the reader. But this is not a face that the Master cares to show the world. Suo claims to have 28 one-syllable cards – and indeed, shows an incredible ability to anticipate the next syllable from the way the reader pronounces the previous – he can picture the image in their head when they use the word “Like” for example, and from this determine the next. I don’t know how realistic this superhuman “game sense” is, but it’s certainly true that Karuta players have varying abilities to “read the reader”. This, surely, is why Nishida was so intent on having Chihaya watch Suo, because her game sense is almost as strong as his. 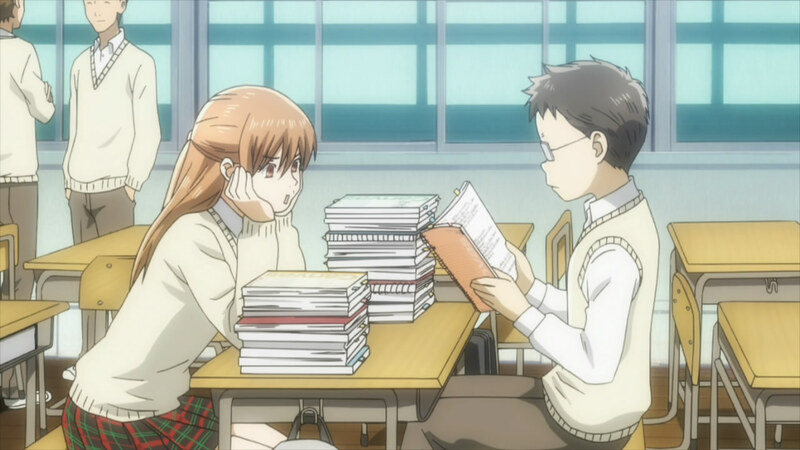 And little Tsutomu comes through in the clutch here, intently studying his notes and determining that Chihaya herself has 20 one-syllable cards – though of course, she herself didn’t know that. Chihaya is deeply touched (so was I) that Tsutomu worked to hard to do this, just for her, but that’s the bond that’s grown between the members of the Mizusawa Karuta Club. Watching the Master impacts the others, too. Perhaps the emotional peak of the episode of the episode for was when Taichi called Arata after the Master final – it was such a beautiful full circle moment, and an acknowledgement of how much those two share, how much there is about the other that no one else could understand. 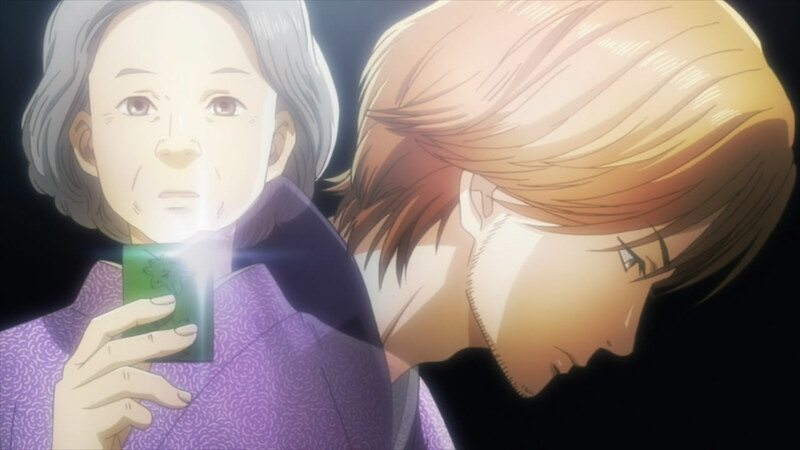 Arata shares some wisdom from his grandfather, that “You don’t need game sense to play Karuta. 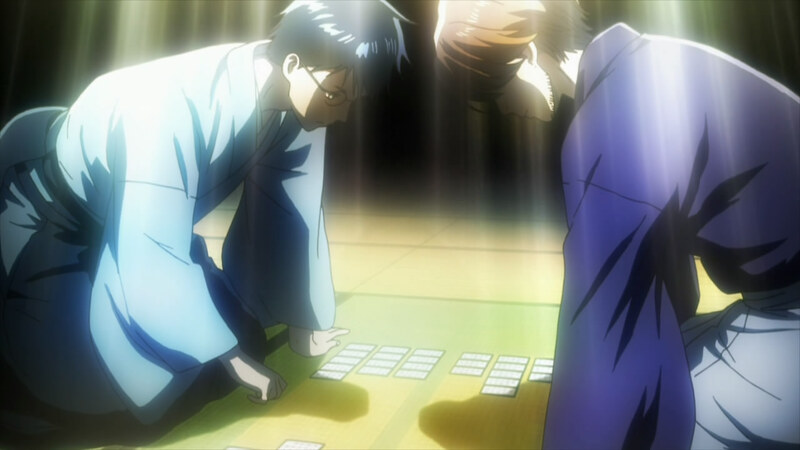 You just need to take cards faster than your opponent.” For each young man those words hold their own meaning, and as Arata settles down to a game with Maruo – who I sense is back in the game primarily to help Arata challenge the Master, and not for his own chances – Taichi remembers the admonishment from Nishida about not practicing his swing (and embraces the importance of gaining a mental advantage). For him, it’s about embracing the weakest part of his game, and to become stronger in the process. 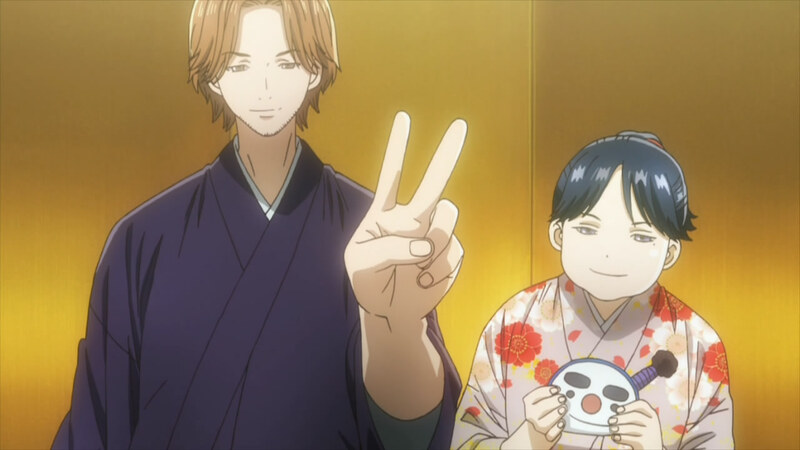 There’s not much left to be said about Chihayafuru that I haven’t already said in blogging 25 episodes. I love it – I love it to pieces, and I’m gutted that it’s over. The series is a mortal lock to make my 2012 Top 10 list, even if we were to have a monster year like 2007 (which I sincerely doubt will happen) and who knows, it might even be #1. Why? Read the posts, it’s all there. This is the very best of josei, with deep, complex characters and a rich emotional palette, merged with what’s effectively the best sports shounen since Hikaru no Go. That combination is every bit as powerful as it sounds on paper, if you’re the sort of anime fan I am. There’s the very basic stuff, too. Madhouse have done a wonderful job adapting Suetsugu Yuki’s manga (about half of it, anyway). I absolutely adore the backgrounds here – the scenes in the snow, the cherry blossoms, the lovely depictions of Omi Jingu Shrine. The music is a constant pleasure, a perfect complement to the visuals. And the character designs are my favorite of the year – so much depth of feeling in those faces, the beauty of youth and the wisdom of age, all brought to life by Madhouse’s animators with some of the most lively facial expressions you’ll ever see. If it lacks the fluidity of KyoAni or the stunning detail of P.A. Works, Madhouse’s visual effort here is – like the anime itself – a sweeping triumph. The job of any adaptation is to retain the look of a manga and improve on it, make it come alive – and they’ve done it. For me, animes are always primarily about the characters, and no matter how splendid a series is it cannot achieve greatness in my eyes unless the characters are exceptional. And happily this is foremost among Chihayafuru’s many strengths, and this was apparent from the flawless premiere episode. 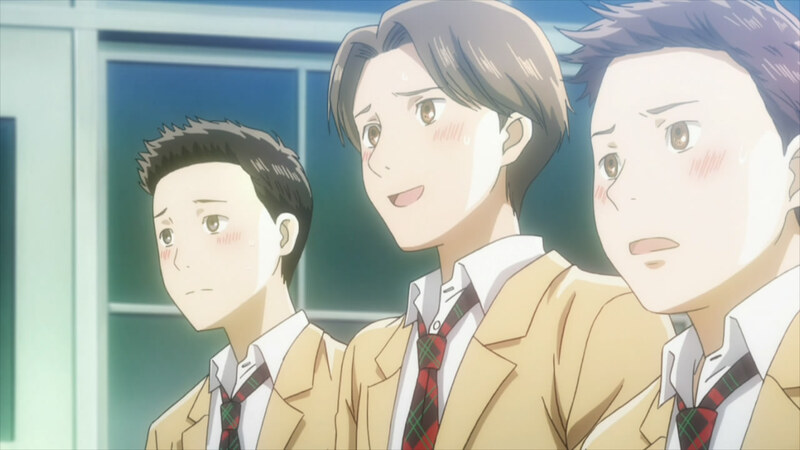 We begin with a brilliant three-episode flashback featuring Chihaya, Taichi and Arata as 12 year-olds, and then rejoined them four years later as they entered high school. And amazingly, they grew up as much over the next 22 episodes as they did in that long time-skip. 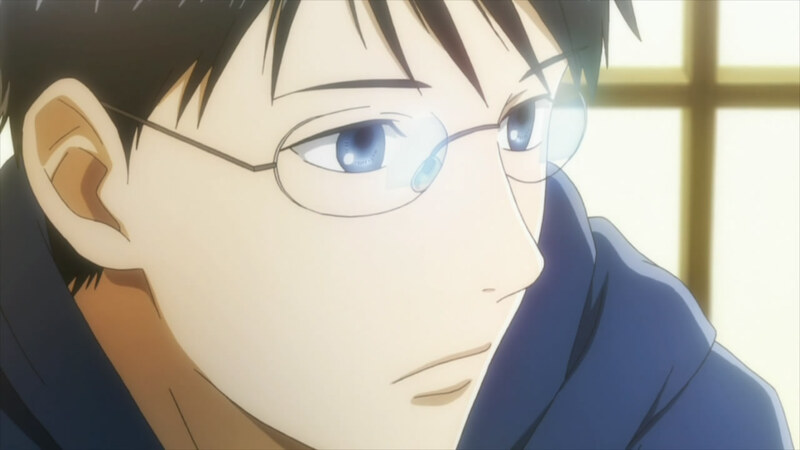 While Arata was physically at a remove for most of the series, his spirit was always present – gently influencing everything that happened in Chihaya and Taichi’s lives even as he struggled to find his own path, losing his way for a while before finding his way back to the game and the friends he loves. Of Chihaya and Taichi so much has already been said, but they were an incredibly engaging pair (I can’t say “couple”, alas) at the heart of the series. Chihaya was in many ways tasked with the thankless role of the shounen lead, the driven and freakishly talented but emotionally clueless hero, but there was so much more to her than that. I would argue that Chihaya changed the least of all the major characters in the series, both inside the game of Karuta and out. Her game is still a child’s game, athletic and instinctive, but at last through her time with the others she’s learning how to grow as a player – through Kanade a love of the poetry, through Tsutomu an understanding of analysis and preparation, from Nishida the importance of strategy, and from Taichi’s own growth the importance of toughness, of never giving up. Emotionally she’s still a child too, romance never really entering the equation in her mind, unaware of the impact her insensitivity has on those around her. But here, too, being around the others in the club – being embraced by the camaraderie and affection that’s built between them – she’s coming out of herself, and becoming a whole person at last. You certainly know my feelings about Taichi. Miyano Mamoru was my seiyuu of the year for his work in Steins;Gate in 2011, and he’s the early favorite for a completely different role in 2012. In terms of growth and change, Mashima Taichi has had one of the greatest character arcs in modern anime. 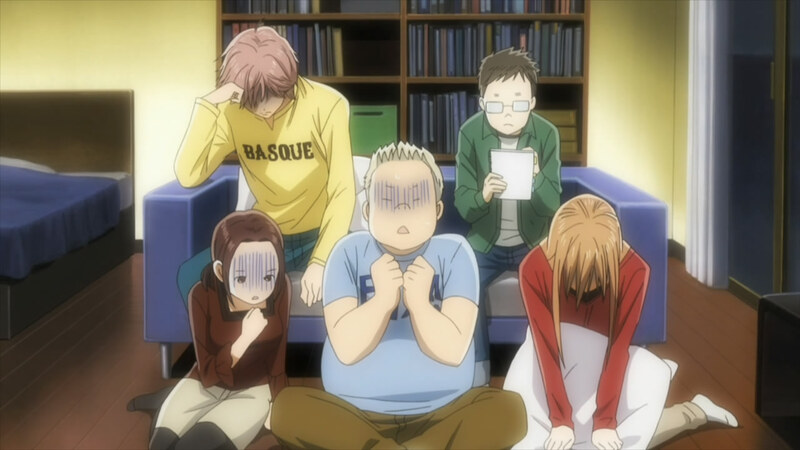 While Chihaya was the main character, it was Taichi who did the emotional heavy lifting in this series – where she was wrapped in herself, Taichi was an emotional open book, sharing all his pain and ambition with the audience. Is he flawed? Yes, absolutely – and all the more interesting and sympathetic for it. Taichi changed more than anyone in the cast, and it all played out in the open where we could see it happening and hear what was roiling in his mind. 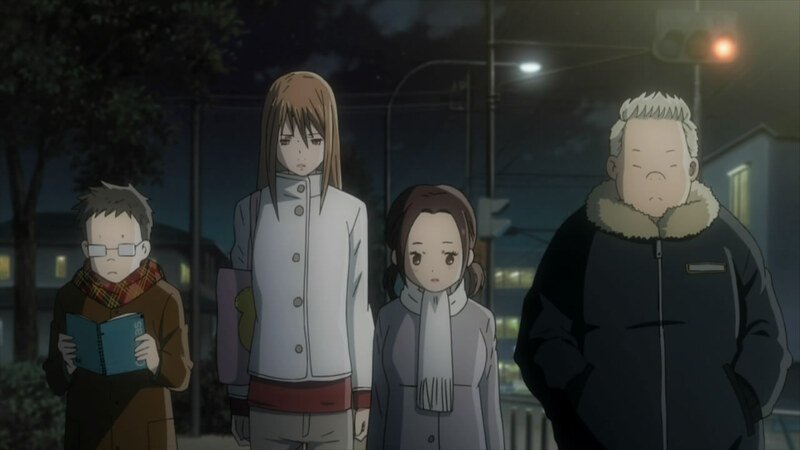 For all the depth of feeling I had about the potential romances in the show, the emotional high-point of the adaptation for me was the scene between Taichi and Harada-sensei on the train platform in episode 20. In that moment was encapsulated everything that had happened to Taichi in the series – all the frustration, all the pain, and how much he’d grown as a person. And in Harada-sensei’s face was all the love he feels for his students, and how personally he takes his role as their mentor. It was emotionally a perfect moment, a bull’s-eye. Speaking of Harada-sensei, he was arguably the best among an amazing supporting cast which featured no throwaway characters, even in small roles. Rivals, opponents, it didn’t matter – there were no villains, just people. Sudo and Shinobu were scene-stealers from their first appearance, but even a minor character like Retro-kun was a lot more interesting than he needed to be. The anchor of the supporting cast along with Harada-sensei were of course the club members. Lovely, idealistic and artistic Kana-chan, dedicated and deceptively sensitive Tsutomu, and the brash and passionate Nishida. Each of them had their own journey over the course of the series, and each of them taught the others something valuable. The gradual strengthening of the bonds between the five Mizusawa stalwarts was one of the very best things about the series, and perhaps that bond is the thing that I’ll miss the most. I guess the elephant in the room is the romance side of things, and it must be mentioned – though I was pretty certain it wasn’t going to get much play in the anime finale. Perhaps we can all agree, at least, that Tsutomu and Kanade are adorable together – and I think genuine feelings developed between them. Of the main event, I think we’ll know nothing until Chihaya grows up, and finally knows herself well enough to start thinking about the boys in her life as more than friends and rivals. They’re each very special to her in different ways – Taichi is in many ways her alter ego, and surely her closest friend and the one who knows her best. Arata is the kind, gallant and heroic boy who changed her life with their brief encounter in childhood – and as the anime ends he still exists half in the mythological world, the “God of Karuta” and that heroic boy she remembers. She loves them both in their way, and they her in a romantic way – but of where Chihaya’s heart ultimately takes her, I don’t think anyone can say. She may decide that neither Taichi or Arata is the man of her dreams, as important as they both are to her. Or she may see it otherwise, especially if one of them takes the initiative and shares his feelings. She would do well with either, it seems to me – they’re both exceptional people, and both would treasure her in a way she can’t yet understand. Someday, perhaps, we’ll know how it all turns out. But not today. So there we leave it, at the end of this amazing six month journey. The characters are still chasing their dreams in their own way, in Karuta and in life. For us, there’s the manga, and I intend to follow it as best I can. And there’s also the Blu-rays and DVDs. I rarely talk about campaigns, concerted efforts to influence the industry on behalf of a series. 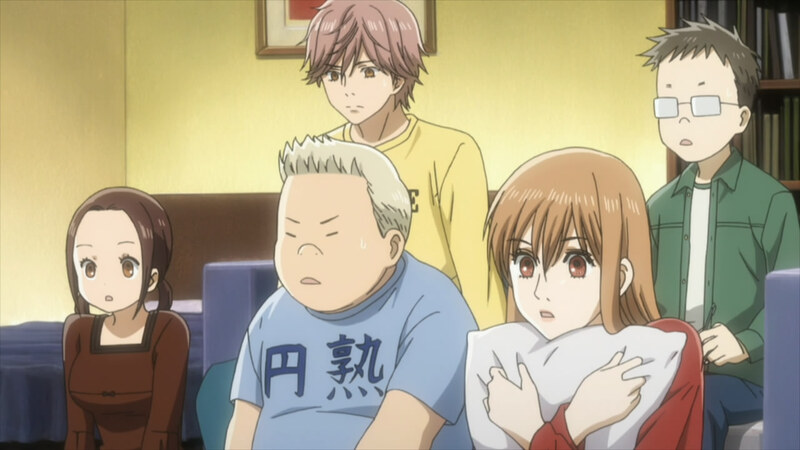 But I feel very strongly about the following – if there’s any justice in the world, Chihayafuru will have a second season. It deserves it and it’s earned it, and perhaps as fans we can do a little by ordering the discs from Japan, by purchasing the manga (there is a Japanese-English bilingual version) and by asking for a licensing of the series. The latest volume of the manga was the #1 seller during it’s first week in Japan, with over 212,000 copies sold – so there’s hope. I encourage you to do everything you can do to show Madhouse and Kodansha that you appreciate manga and anime that do everything the right way – intelligent, emotionally honest and original. This series is a beautiful and rare thing, and I appreciate having had the chance to experience it. I’m going to be greedy and ask for more, but I’ll still take a moment to be grateful for what we’ve already been given. 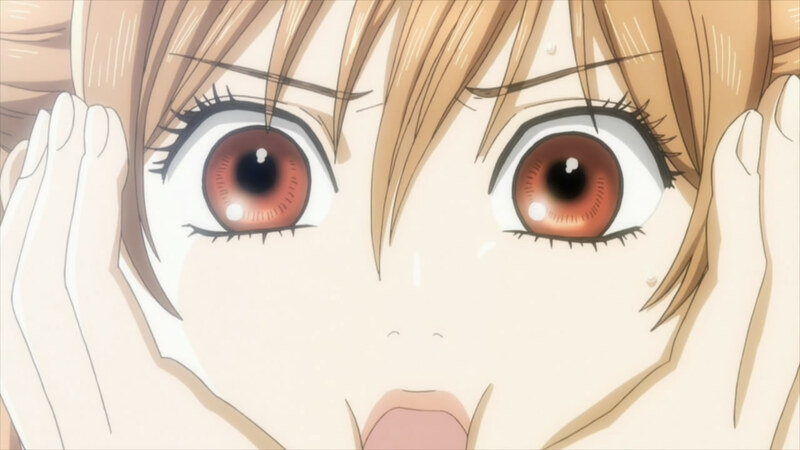 Awww… Chihayafuru’s ended already? Seriously hoping for Season 2. OMG, I so fell in love with Kana in this episode. It’s like Chihaya’s mastery of face making rubbed off onto her. Combining that with her chibiness and her moe moments, it makes me want to steal her away from Tsutomu and Nishida. As much of a bro Issei is in High School DxD, I think Tsutomu is on par with Issei. I mean Issei does it with passion but Tsutomu does it with passion and intellect. I feel like he is destined to be a Karuta teacher instead of an excellent player. 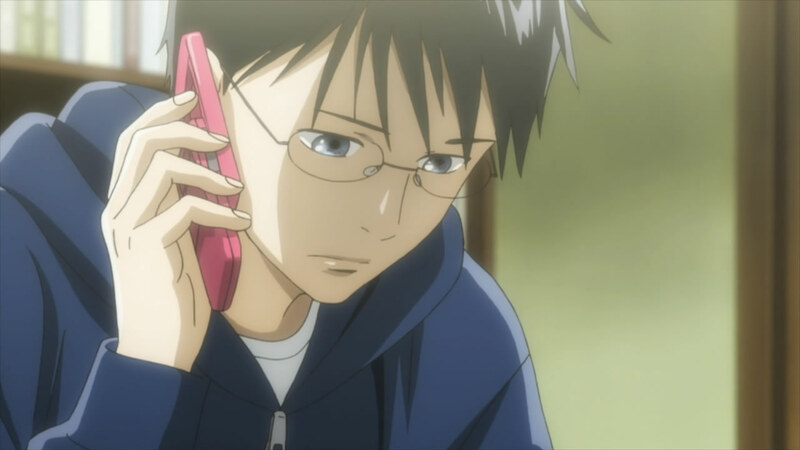 The best moment in this episode for me was the Arata/Taichi phone call. What Taichi said about there are no geniuses in Arata’s world really put things into perspective because I personally considered Arata a Karuta genius. I am optimistic that we will get a second season maybe in a year or so because this series looks like it can only get popular over time as people discover it. I think he is not a genius but someone who loves the game and works hard at it. Also “there are no geniuses in Arata’s world” to me means that he doesn’t let somebody else’s natural abilities scare him off or intimidate him. Instead of thinking “this guy is a genius, how can I compete?” he studies their strong points to learn their weak points so he can use his skill to beat them. Having just marathoned this series a few weeks ago, I feel so bad that I skipped over it in the fall season and only got to experience it recently. It would be a shame if Chihayafuru never saw a second season, because it’s far more deserving an investment than many other shows. Just to add the manga figures; the initial sales for the manga volumes in the first week have increased by approximately 25% since the anime started airing. For anyone who reads the manga, without spoiling, I know the first season covered about half of the material; is there a good seasonal stopping point around where the manga is now? At this point it’s my hope that they’re holding off on a second season until there’s a good point to stop at. They could do something easily enough. Frankly, there was really no natural stopping point here – Asaka basically jiggered things a bit to give a non-ending a bit of a “coda” feel. Great series. No previous knowledge of Karuta is required to enjoy it. Agreed. Like Hikaru no Go, no previous knowledge of Igo is required to enjoy it. Funny, I don’t find comments that praise me effusively annoying to read! Seriously, thank you. 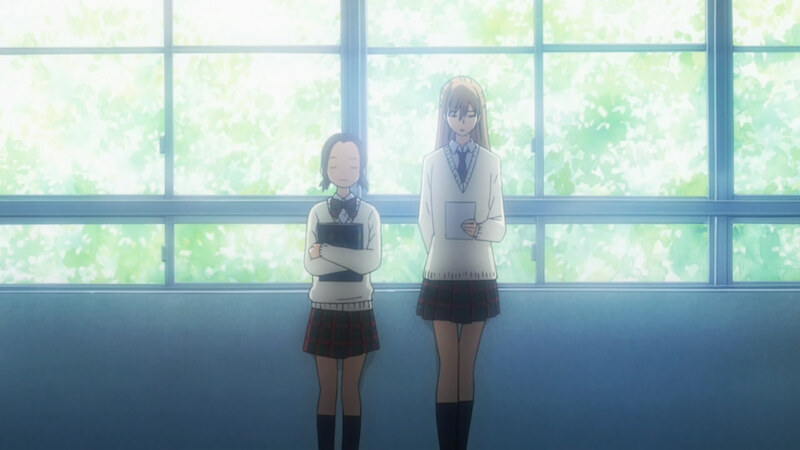 Chihayafuru can do a lot to make a blogger look good. STILL, this series is a great ride, one of the better ones that lasted 2 cours. Kana-chan doesn’t see the money. She sees all the traditional clothing they can buy with it. Kana is my favorite character in this series. Gonna miss her each week. I’m so sad it’s over! Somebody needs to take a whip to the production team and get them started nao. One of the very best I’ve ever seen, and I hardly even like shounen or anything sports related. Enzo said everything that needed to be said, and I’ll miss Taichi Tuesday too, but at the same time I’m also happy that this show existed, and demonstrates the potential heights of greatness anime is capable of. Will be happy to check out the manga when they officially translate it. Is the bilingual version listed on amazon Japan? If not, where? Shop like CD Japan? How can tell if it is the bilingual one? Thanks. Truly hope for a second series! Ah Chihayafuru, I remember seeing you in a season preview, about to be dismissed until I read Divine’s comments and decided to give it a go. You blew me away and made my every Wednesday better, sometimes the only thing I looked forward to that day was you. Such a hidden gem among anime, I don’t know what it is but one thing I do know is I thoroughly enjoyed my 6 months with you and you’ll be sorely, sorely missed. Awesome series, though I’d like it more if Arata was a main instead of whiny boy. Give Chihaya a few years and she will be on a level playing ground with the master! She has the talent, and the willpower to work and train, and the fuel for all of this – deep love of poetry and Karuta. 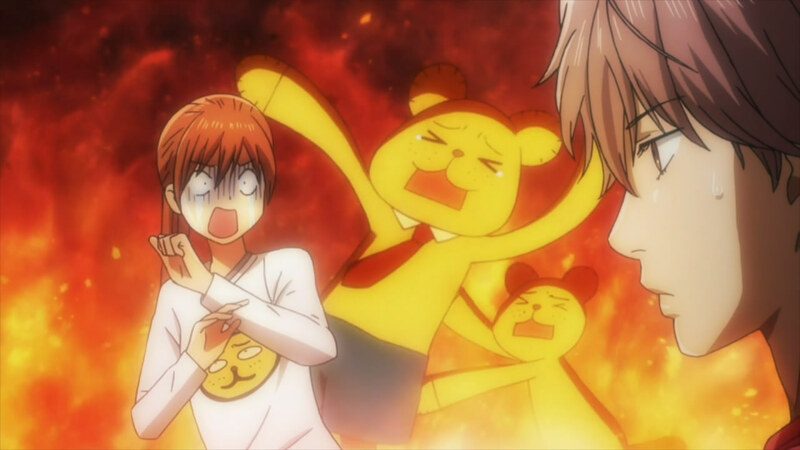 I am so gonna miss the karuta tuesdays (I never focused on Taichi though he was great character)! Thank you Suetsugu Yuki for making this manga and the basis for this anime. Thank you Mahhouse for this great anime. Thank you Guardian Enzo for blogging about this anime. I have really enjoyed the last 2 seasons and their Taichi Tuesdays. I always got a smile on my face whenever I heard the opening song http://www.youtube.com/watch?v=-HPM55gEeVo. Taichi Tuesday had gone…((( where may I read manga in english or japanese??? Tell me about it – the last two days have been brutal. Makes me realize that, in hindsight, Fall and Winter were very solid seasons. Today is a much-needed day off for me. I may just do that rare thing, the re-watch as soon as the series ends – I’ve only done it 3-4 times for a series. Maybe starting next Tuesday! 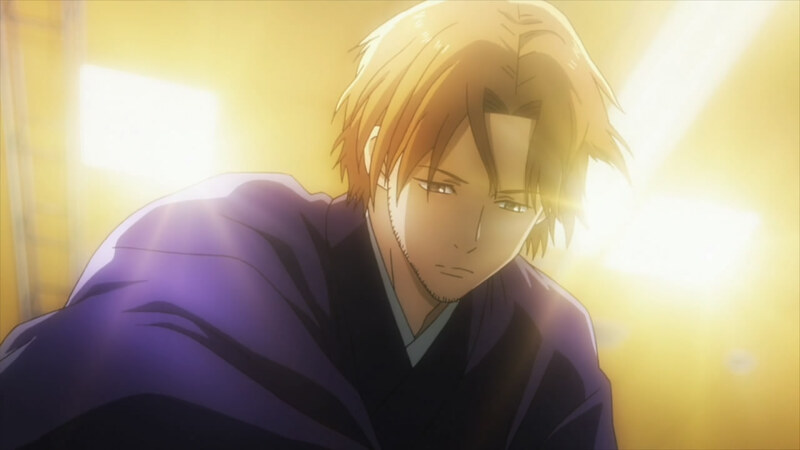 Must have been though days for you GE, a rest wont hurt man.. Yeah, in the past months, there really a lot of great shows.. A re-watch for a deserving and one of a kind anime like Chihayafuru is inevitable.. 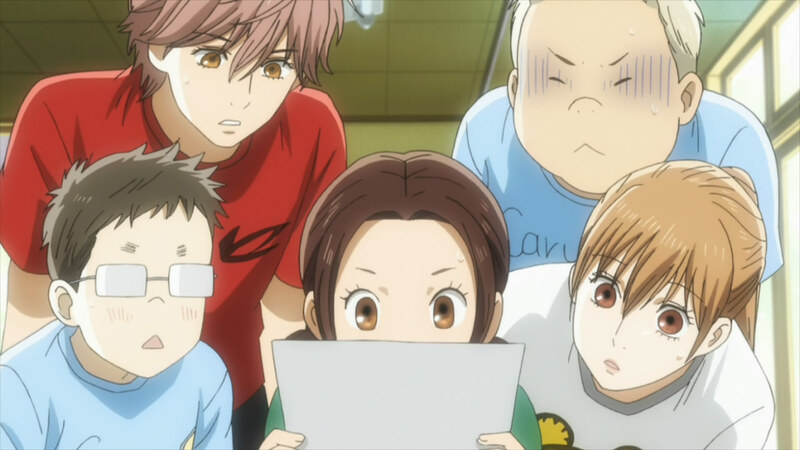 Thanks for blogging Chihayafuru GE.. Thank you for blogging this truly wonderful show, GE. Much like you, I felt in love with this funny and truly soulful series. To be honest, I feel this month has been an emotional drain, so many shows ending. 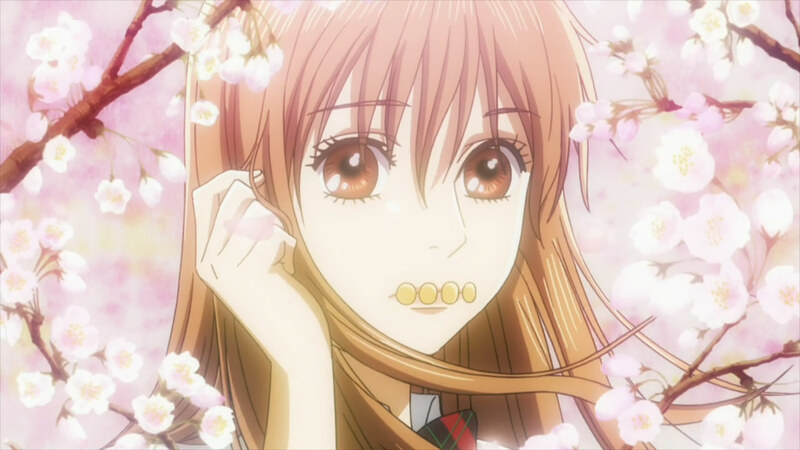 For me, Chihayafuru felt like a kick in the head. 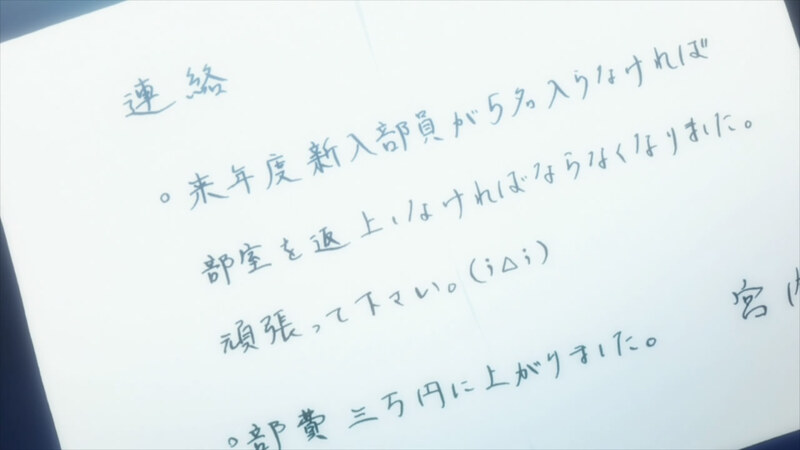 The open invitation from Chihaya-chan, the dreams of each club member and the unresolved feelings between Taichi/Arata for Chihaya-chan, it’s like a tease for another season that may never come (due to the show’s popularity in Japan). 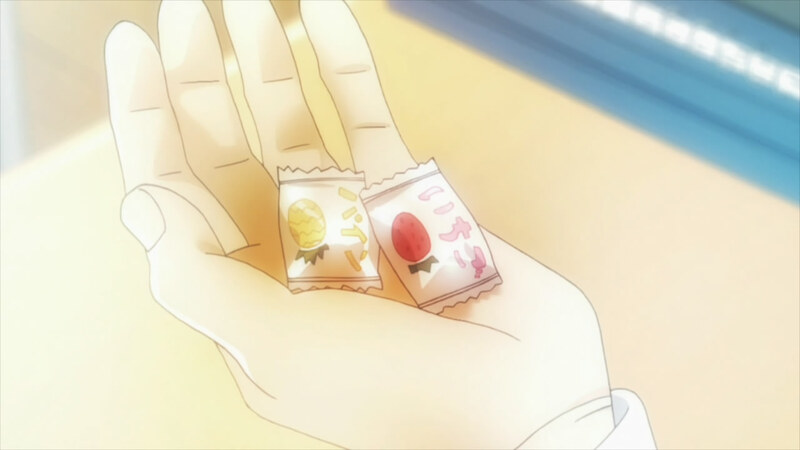 To Chihaya-chan, Taichi, Nishida, Kana-chan and Tsutomu, I would join the karuta club anytime…ANY TIME! I’ll pray for a new season. For me, Taichi was the most real character in the series. He had the most believable and relatable character development of the entire cast. I loved a simple thing like Arata calling him a coward can have such a huge impact on his life, and we are reminded of such a crucial point everytime Taichi faces a dilemma. Chihayafuru really is a gem hidden behind the guise of a josei anime/manga. The art didn’t draw me in immediately, but after hearing good things about the characters, I decided to pick it up mid-season. 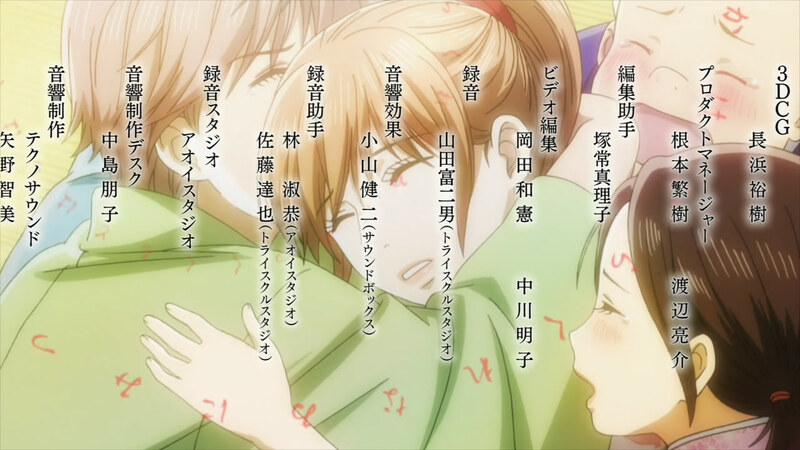 The solid character development was what really drew me in to the series, and it’s sad to see Chihayafuru end, especially when there is still so much room for the characters to grow and mature. Yeah, I’m with you on this one, going to miss Chihaya, Natsume and the laughs I got with Danshi, anyways Chihayafuru was awesome because of it’s characters, but I also got a lot of interest in karuta, the way the game was portrayed; nothing short of awesome. Thanks for blogging, I usually don’t take romance seriously, but I was rotting for Taichi, and oh well can anyone tell at which chapter of the manga the anime ended? Thanks in advance!!! Somewhere in the early 50′s, though the last couple of eps cherry-picked from several chapters to make an ending. Lovely, beautiful summary, Guardian Enzo. I will miss your commentary. I had never heard of karuta before watching this series. In the end it turned out to be one of the best series I’ve seen for some time and I have read the manga up to volume 15 (the anime stops in the begining of volume 9). Great series and I really hope a second season will come some day. I read somewhere that the voice actress for one of the main character (chihaya/arata/taichi) is busy for this whole year… So any development for second season (if any) would only start as early as 2013, which means we’ll get it at winter 2013 at the earliest. I would be very thrilled if that were the issue, but I kind of doubt it – seiyuu can easily do 3-4 lead roles in a season. Sad to see this show end :( 2nd season please!! This episode had me shedding tears and laughing like a maniac a minute later. 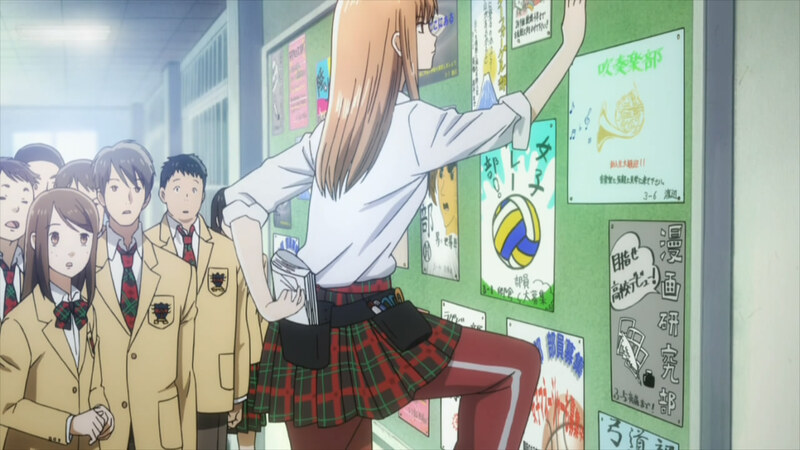 I love love love Chihayafuru and while I doubt there’s going to be a second season I certainly hope for one. I love these characters and their growth and I want to keep watching them as they journey through life. Each episode was worth it -even the recap. I started disliking Taichi and his selfish and childish actions but ten episodes into the series had me feeling sympathy for him and wanting to support him. TAICHI TUESDAYS! AAAAAAnd I love Miyano Mamoru. He is in the podium of anime seiyuus whether for dramatic or comedic roles. The guy is simply amazing. I’m going to cry some more and pray to the Gods of Anime for a next season. You mentioned 2007, wonder if theres any chance to do a recap since it was quite a while ago. What kind of recap did you have in mind? I did recently do a retrospective of Spring 2007 at LiA. 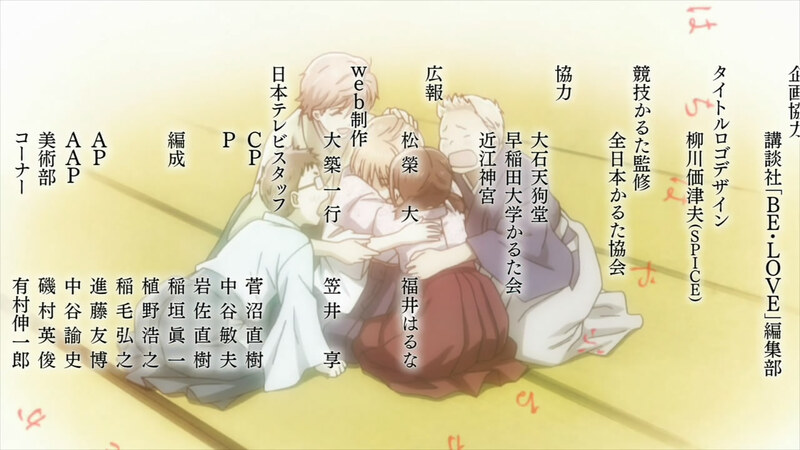 So sad that Chihayafuru came to an end. It’s been a long time since the last time i felt this strongly about an anime. 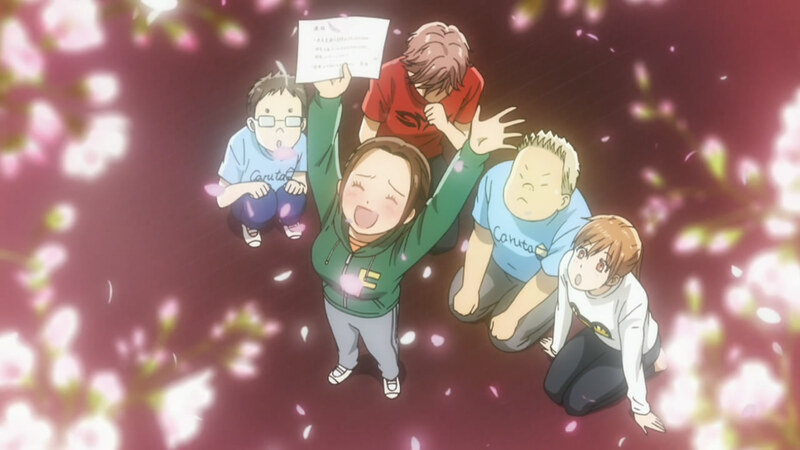 Thanks, Chihayafuru, for bringing such joy to my life the last few months. Thanks, Guardian Enzo, for the great reviews. A second season is a must, and I will buy the bilingual manga in the hope to make it happen. The 70+ chapters are out in Japan, 27 is the number of scanlated chapters. They’re actually at about 90 chapters in Japan. Hmmm, thanks. Probably parroting the same rumor, but you never know. That was a really nice book end, even showing how much the teacher cared about the club. However that was one hell of an open ending, at least they ended by showing of the five members of the club, that makes me happy since they were what really made the show for me. I really loved this show, which is funny since I wasn’t even planning on watching it until I read the Fall Preview. Heres hoping for season two. NEED Second Season!! This was too short!! I also want the ‘Hikaru no Go’ anime to finish the manga. Now, I’m scared that I won’t get either one. This series doesn’t deserve to be this underrated. I mean, look at the number of comments of Guilty Crown’s last episode. If they only knew they’re choosing to pay attention to a trash over a real gem. I’m looking through Spring 2012′s offerings, and I just knew that nothing can replace Chihayafuru for my weekly dose of good stuff. I just need the second season NAAAOOOOO!!! I’ve been a long time reader of the blog, and I really appreciate the effort put into the posts for each episode of anime covered. This series has consistently entertained and touched me through its entire 25 episodes, and I think it deserves a lot of praise for the hard work and talent shown by its creators / adaptors. One of the most heartfelt messages the show has conveyed is the importance of the relationship between teacher and student. 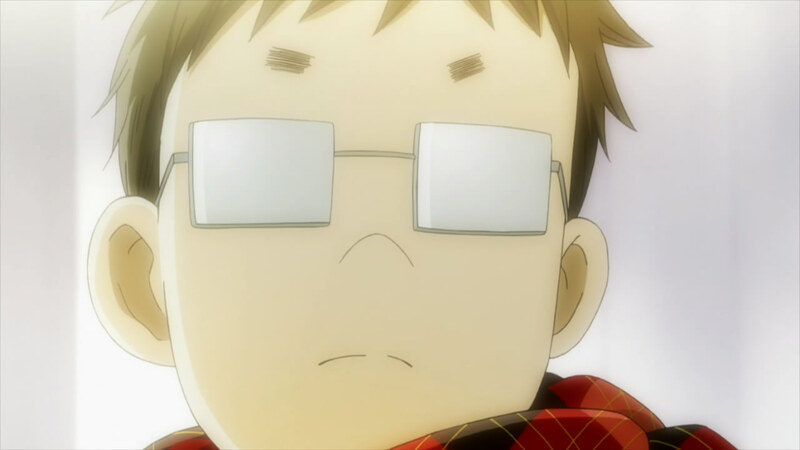 The first and most important example is the relationship between Arata and his grandfather. This is basically the starting point of the anime and plays no small role in developing Arata’s character (albeit in somewhat limited and plodding fashion) through the course of the series. 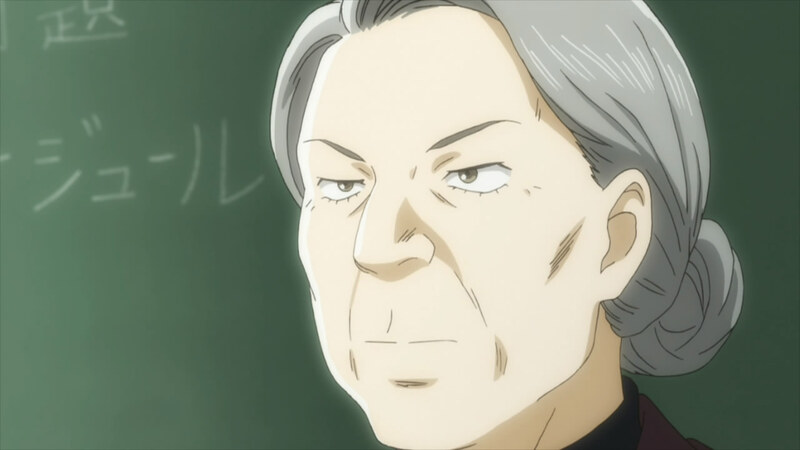 Other important examples are Harada-sensei with Taichi and especially Chihaya, as well as with that master-contender guy, and Harada’s rival club teacher guy with Yumi. Some of the most memorable moments in the series, for me, comes from the heartfelt interactions between these students and their respective teachers. From my point of view, what Arata is saying diminishes the achievement of Master Suo, and as such, elevates the elements he is not associated with – that is, in my argument, the importance of the student-teacher relationship. 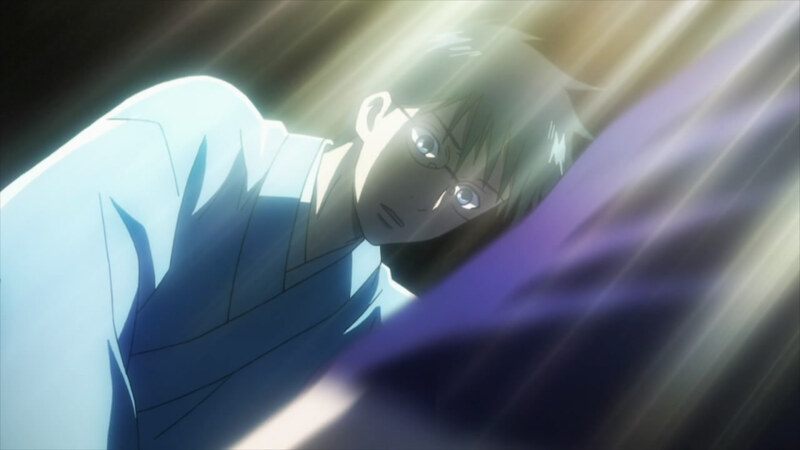 Taken in light of the many individual elements in Chihayafuru, this is one of the major themes that really elevates Chihayafuru, for me, above a lot of other anime! 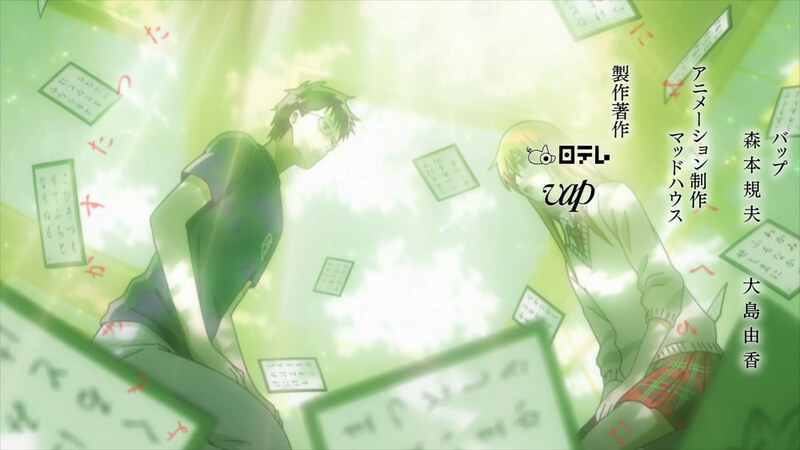 First of all thank you for sharing your love on Chihayafuru this season. 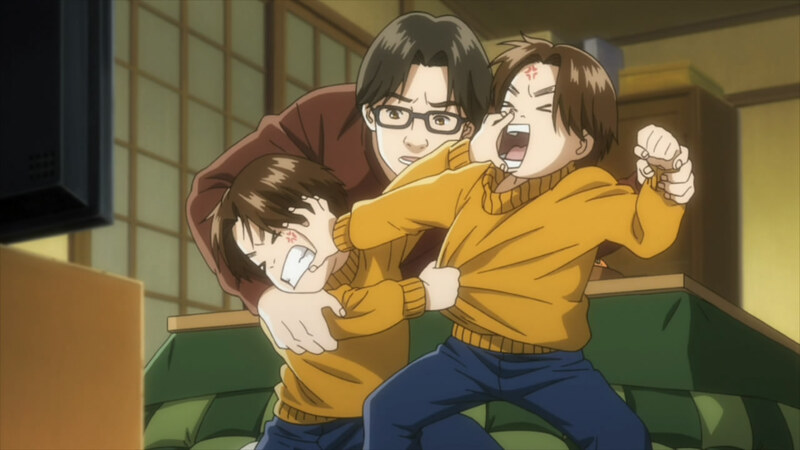 I will forever remember Chihayafuru as Taichi Tuesday. There were so many good lessons in this episode. My heartstrings were profoundly tugged. It was perfect open ended ending, but I still want a second season. Time to put the power of the community to use and boost those sales. Oh,and I am one of your secret stalkers. Hope you don’t mind. Been following this website since 2007, but this is my first time posting. Heh, after five years I’m the one that got you to comment? I’m honoured! They definitely left it open for a second season and I hope there will be if they’re not discouraged by the sales. I just love how they went full circle and ended it pretty similar to the way it started. Going to miss Taichi Tuesdays and our Muda bijin’s facial expressions. I wonder if there’s a compilation of them lying around lol. Great write up. I had initially skipped over this because of lack of knowledge on it, but after hearing people rave on about it, I gave in to curiosity and gave it a chance, sat down and watched the whole season back-to-back, and I can definitely see why people fell in love with the series. 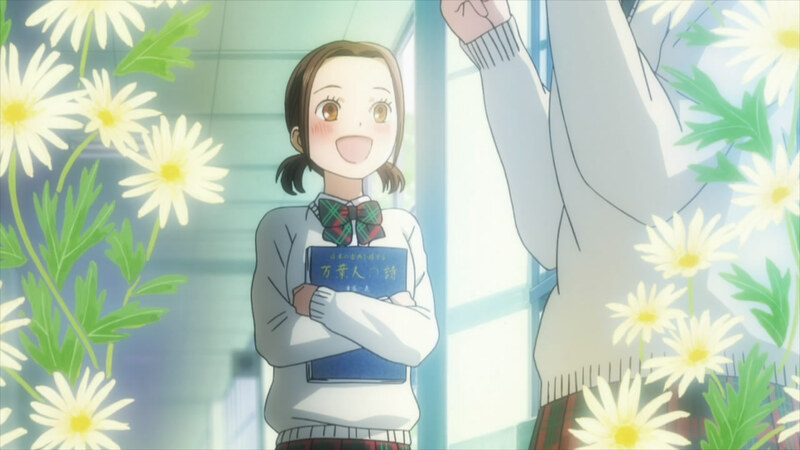 Chihayafuru quite quickly shot up my all-time favorites list with the well-written script, excellent characters and character development, interesting setting, and wonderful art. I hope it gets more seasons, it certainly deserves it. 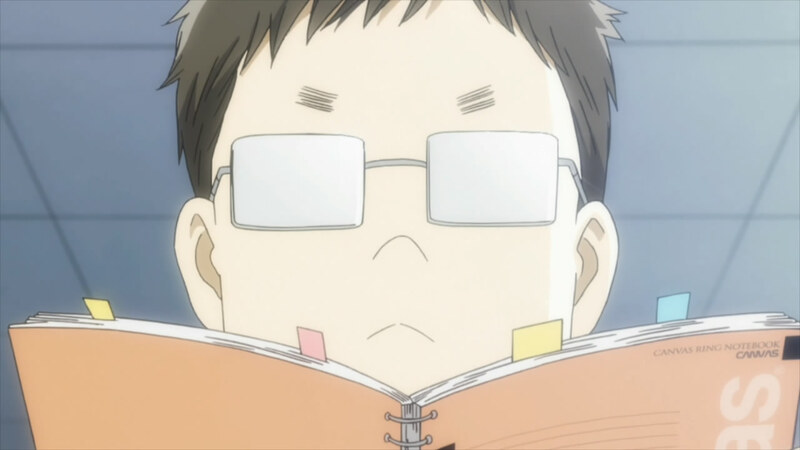 Guardian Enzo, thank for your insightful and enthusiastic posts on Chihayafuru! Taichi indeed went through a lot emotionally. I still can’t quite forget how he dumped that poor girlfriend of his in such a cavalier manner. But how surprising that he turned out to be such an earnest and scrupulous person who found his place in the role of responsible club president! 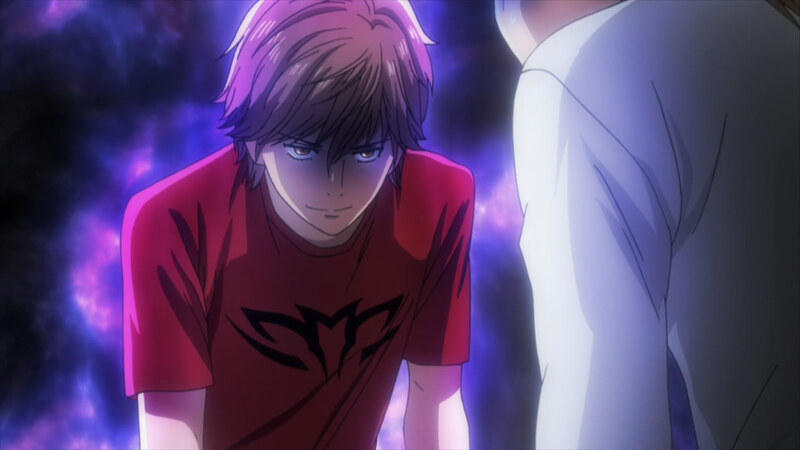 In the end, I rooted for Taichi and I still whish him to get Chihaya even though this most likely won’t happen. I felt a bit let down that Taichi for all his growth didn’t find the courage to confess – but than again, maybe that’s for the second season! The other important character is Chihaya, of course, and here I have to say that I found it a bit difficult to connect to her. You point out correctly, GE, that emotionally Chihaya is basically still a child. Her personality didn’t develop at all. So I’ve been wondering why? 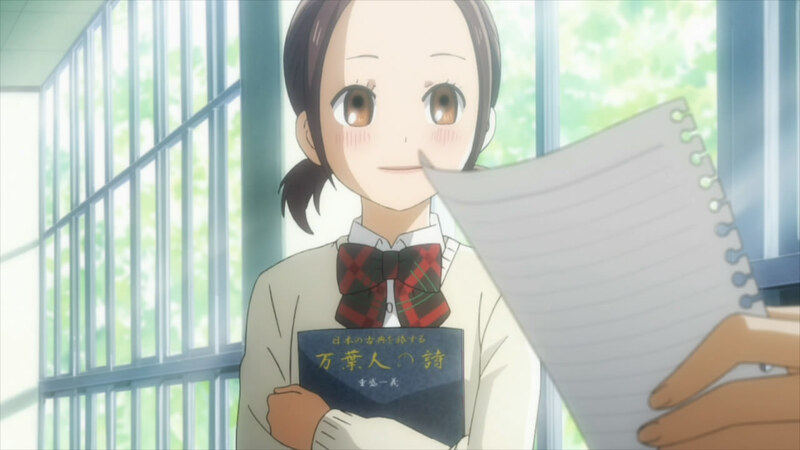 We had the start of an interesting side story with Chihaya’s sister getting all the attention from her familty but then Chihaya discovers that her father collected newspaper articles about her, as well – problem solved! 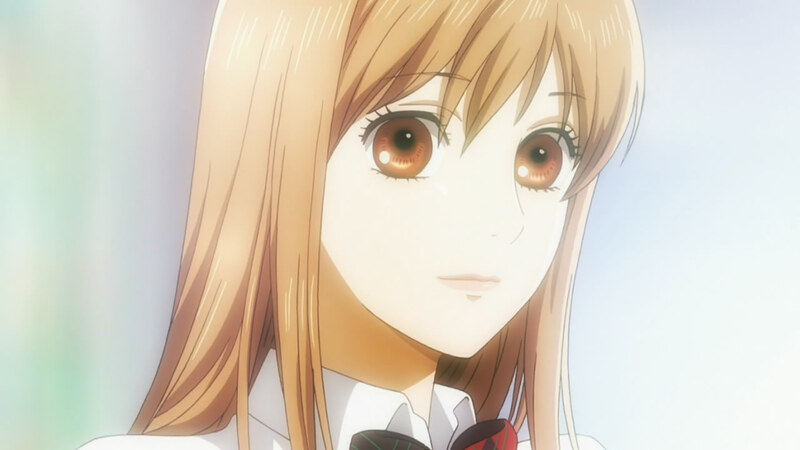 I REALLY would have loved to learn more about Chihaya besides her karuta! It almost seems to me now that Chihaya is spending all her energy on karuta in order to avoid growing up! I should note, though, that just watching her was a pleasure – she certainly was one of the most attractive female characters this season! My favourite character, though, was Shinobu and seeing her grown fat was more shocking for me than Mami’s death in Madoka Magica. Before, Shinobu was just super cool with her glowing blue eyes and the snowmaru shirt! As you can infer from the above I would have preferred some more focus on personality and maybe one or two karuta matches less (even tough they never became boring). But I fully agree that this series has been very well executed in so many aspects and it truly is an outstanding show. What would be the best way to support this series in terms of helping it get a 2nd season? Buying the official merchandise (BDs, manga volumes, etc), perhaps? There needs to be more Nishida development. I’ll probably scour the manga to see if there’s that!! Hope they wait for enough manga material to stock up before doing a 2nd season. No sure how far is the manga now but I see 2 new names for the Karuta Club at the JA wiki article. 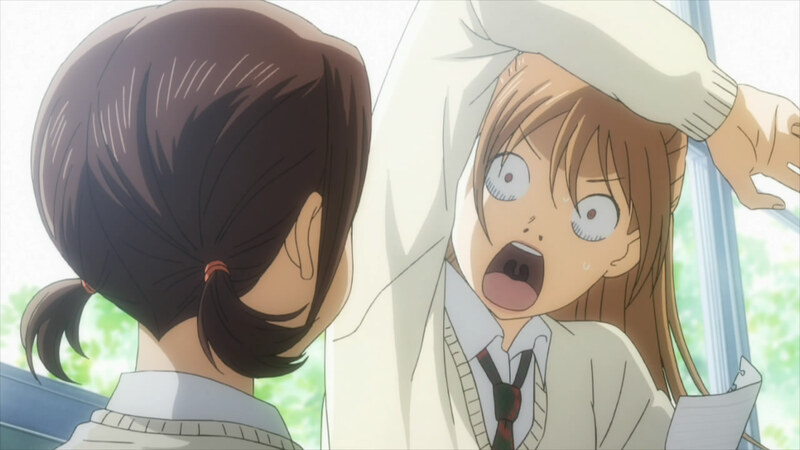 I have decided – Chihayafuru is my favourite of winter 2012. When it was announced that Asaka Morio was the director, I had no doubt that I would follow this series – I was not disappointed for a single moment. There was not a single minute in this two-cour series that I would take my eyes off the screen. The topnotch directing, the superb writing, the beautiful score, the flawless art, the great acting by the seiyus, and the powerful character development – all make this series a rock-solid one from start to finish…for all 25 episodes… I was so drawn to the characters – listening to their thoughts, witnessing their growth, feeling their pain when losing a game, and cheering for them when they’re in one. 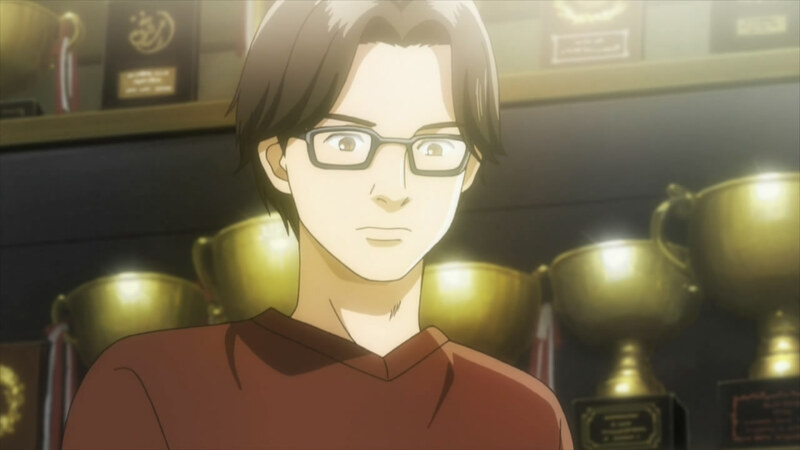 Lastly, thank-you Guardian Enzo for blogging this series for the past 6 months…enjoy reading all reviews of Chihayafuru that you wrote and the comments that many have shared. Thanks, Ron! It’s my favorite series of the last two seasons, for sure. Here’s hoping we have another season to look forward to next year. i really loved the reviews!! !and i will so miss taichi tuesdays!!! I’m happy to see i wasn’t the only one who got totally into this anime, there should be a second season, when i think about all the dorky animes that get a second season, this one really totally deserves it!! And second anime series not just a distant dream now. Announcement on wrap around of manga 17 cover. ANN new blurb today. It hurts to watch the ending, does it not? I basicly hate shows that give me an ending that makes no sense. 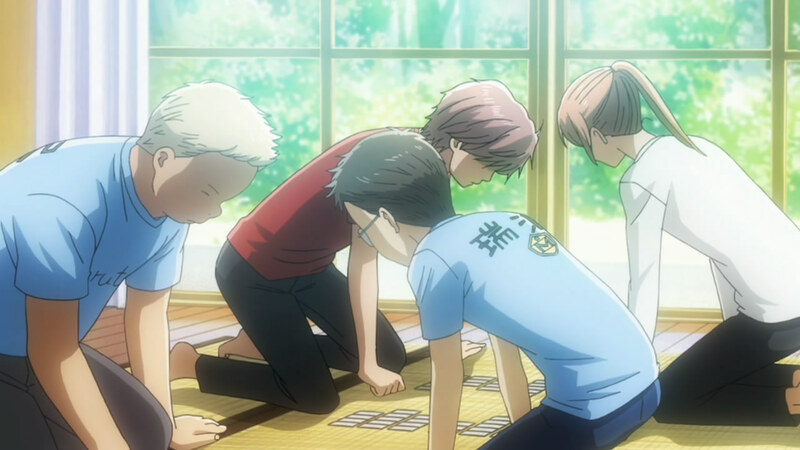 I loved watching them play Karuta, it got me really excited but I’m kind of upset. I am so upset I decided not to watch any animes for a while just to get rid of the ending of this anime. I hate anime’s that give you an emotional attachment, one where you find yourself in each charecter. I sure love how Chihaya is working hard to get her goal, but I’d never want to be her friend; she is very ignorant towards otheres’ feelings. I hate how she would run to go see Taichi’s match and when she sees he’s lost she would just ignore everything the moment he says Arata’s name. It isn’t fair. 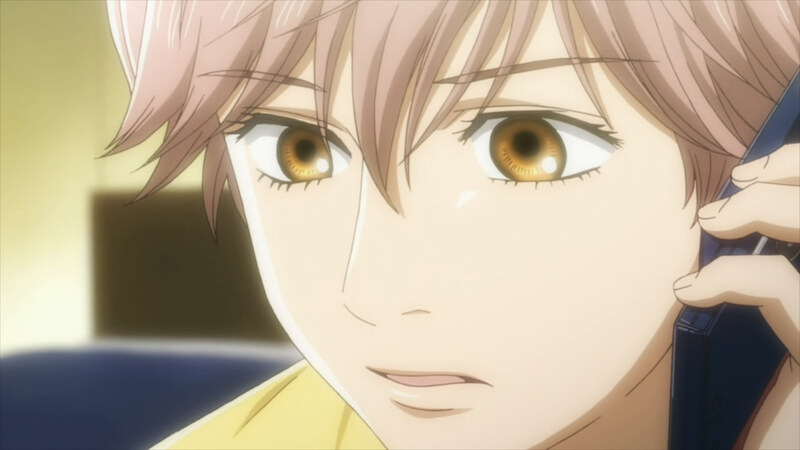 - Taichi’s mum doesn’t really hate Karuta, she hates the way she sees her son drag himself on or try hard for someone like Chihaya who’s not worth the effort – she deosn’t understand it. 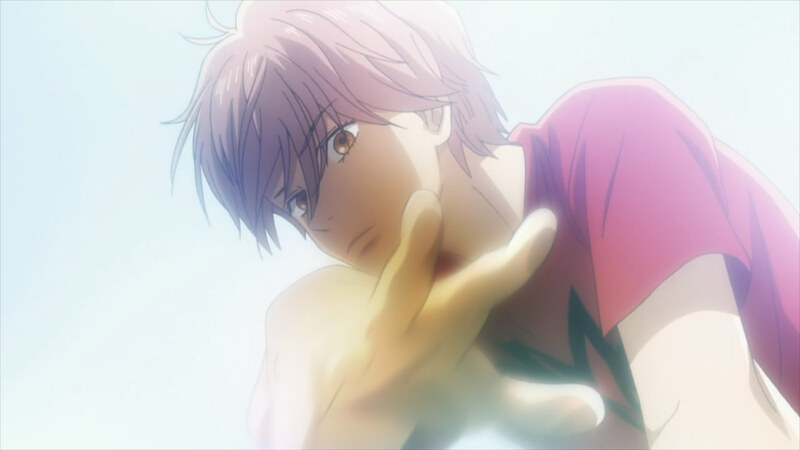 - Taichi learns that he should start working hard – because no matter how you put it, Taichi never really seemed to put any effort for Karuta, so we might see a stronger side of him later on. - Charecter development in this anime is really beautiful for me, but I feel as though I’m cheating. I actually hated Arata since the start and felt really bad for Taichi, who only did what he did because he was afraid of losing his friend. He didn’t do it fair and square, he cheated and I find it admirable. He is a kind person, but why was he acting this way to Arata? It was obvious from the first episode. I loved this anime but I wouldn’t recommend it to anyone – not yet, not until I get the perfect ending. It hurts to have so much assumptions towards the ending but it turns out to be..
what happened? The main charecters watched a Karuta match without hardly connecting to each other and did what they do at every episode. The only diffrent milestone is Taichi’s hand practicing gesture. That was it, really, the heighlight of the episode. Oh not to mention how Chihaya looked kind of shocked that he didn’t answer her, but that also, was cut off by nishihda, unfair! PS. I’m still upset at this ending -_-’.